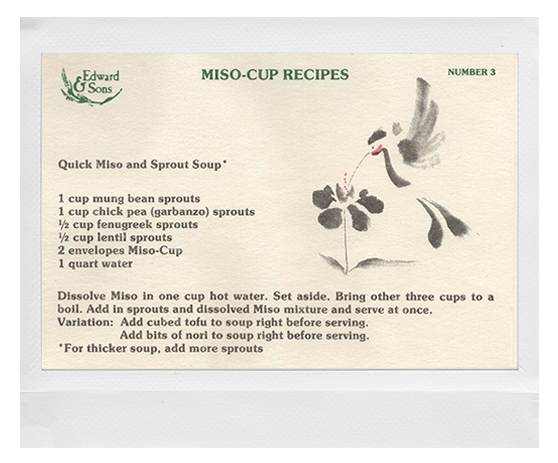 The Story of Miso-Cup – Edward & Sons Trading Co. 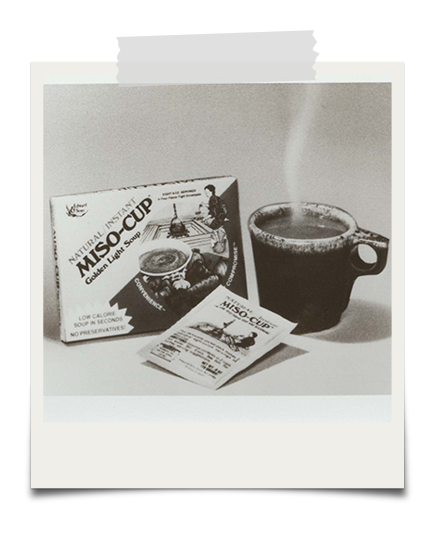 Learn about the history of Miso-Cup® and its timeline since the very beginning in 1978. In 2018, Miso-Cup® turned 40 years old! 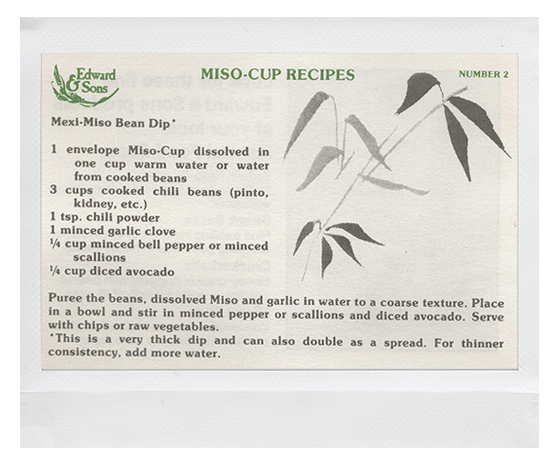 Miso-Cup was the first product under Edward & Sons Trading Co. 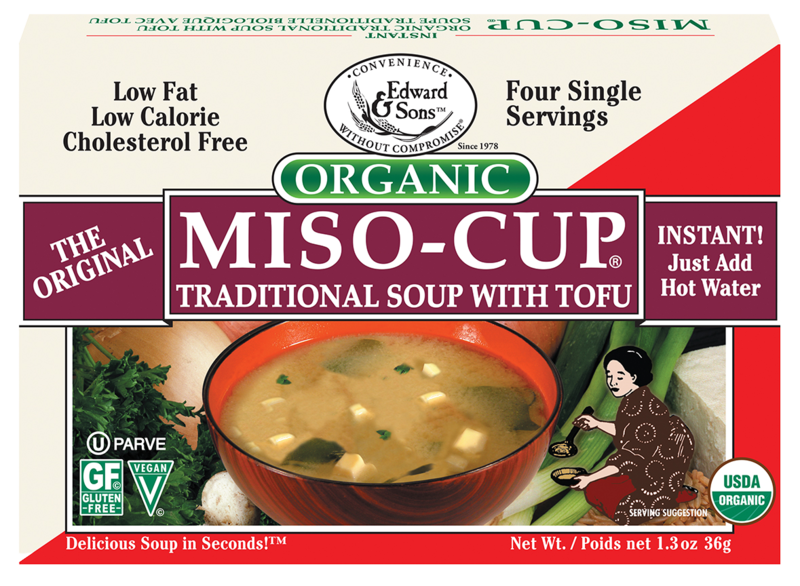 It's been over 40 years since our founder, Joel Dee, brought the first Instant Miso Soup to the United States, and we haven't looked back since! 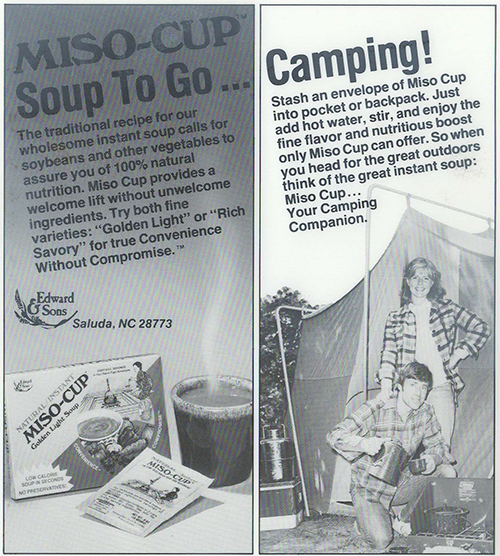 In 1978, Miso-Cup® was introduced to the world in two convenient, delicious varieties. Golden Vegetable Miso-Cup® offers a light and flavorful soup garnished only with onions and parsley. 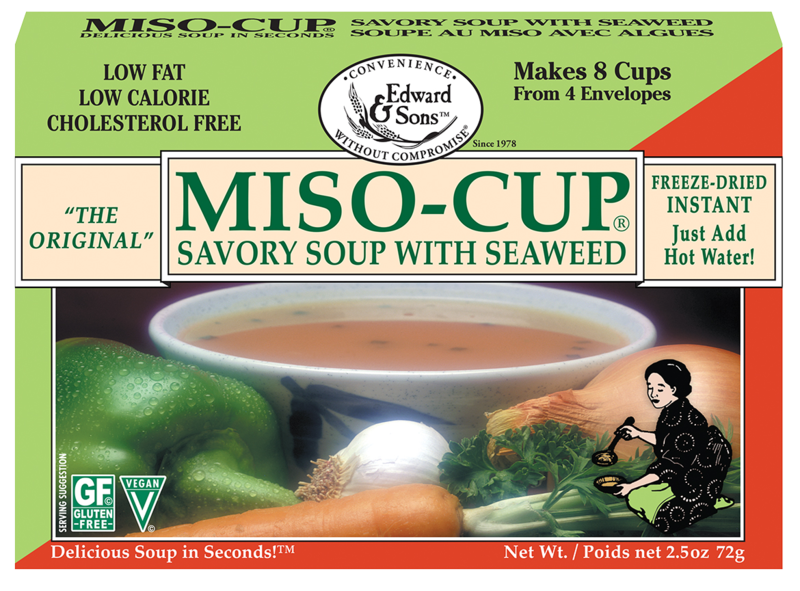 Savory Miso-Cup® with Seaweed offers a dark, full-bodied flavor with the typically Asian addition of wakame seaweed. Both soup mixes were the first to offer consumers "convenience without compromise." In 1999, we introduced two new QAI certified organic Miso-Cup® varieties: Traditional Miso-Cup® with Tofu and Organic Reduced Sodium Miso-Cup®. Traditional has a well-rounded flavor profile derived from its special blend of organic light and dark miso varieties. In response to consumer requests, we introduced Organic Reduced Sodium Miso-Cup®, achieved with sodium reduction by combining vegetables, mushrooms and selected yeast extracts with a special, lower salt miso blend. Over the years, people have enjoyed Miso-Cup® just about everywhere. It is the ideal companion to almost any outdoor activity, and an important component in the survival kits of college students, campers and travelers. Miso-Cup® has accompanied expeditions to Mt. Everest, and sailed around the world on a one-man boat. 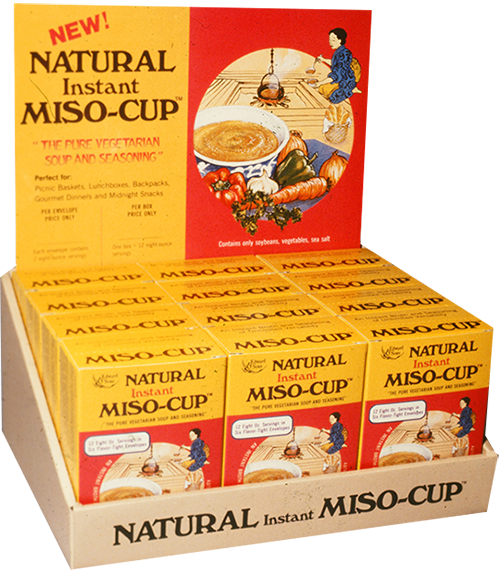 Miso-Cup® offers an unparalleled combination of flavor, nutrition and convenience, to create a moment of peace and nourishment in a fast-paced lifestyles. In 2018, Miso-Cup® will turn 40 years old! 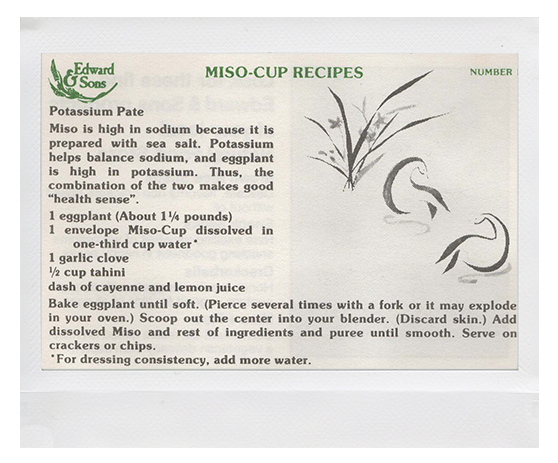 These original recipes from the 1980's used Miso-Cup® envelopes to season and flavor dishes.